California Consulting Welcomes Pleasant Hill Recreation and Park District as Newest Client! 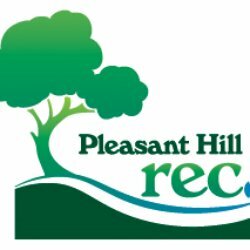 - California Consulting, INC.
California Consulting Welcomes Pleasant Hill Recreation and Park District as Newest Client! California Consulting LLC is excited to welcome Pleasant Hill Recreation and Park District as our newest client! Pleasant Hill Recreation & Park District was established in 1951 by citizens who desired recreational opportunities and park facilities in their community. The District is governed by the Public Resources Code of the State of California and operates as a Special District, an independent governmental agency separate from the City of Pleasant Hill. The Board of Directors establishes policy for the District. Pleasant Hill Recreation & Park District is managed by Bob Berggren, General Manager. Under the General Manager is one superintendent, six supervisors who manage the day-to-day operations for Parks, Programs, Sports, Aquatics, Senior Citizens Activities, Information Systems, and Accounting. -Serve over 40,000 people within the community, an area about 20% larger than of the City of Pleasant Hill. -Touch approximately 100,000+ persons who participate in programs, visit District facilities, or volunteer annually. -Promote an active, healthy life-style for preschool, youth, teens, adults and seniors. -Foster self-enrichment and personal development through offering over 2,300 classes, programs and activities. -Preserve and drive community economic value by providing diverse programs, well-maintained neighborhood and community parks, trails and open space to attract and retain residents, businesses and visitors. – Strengthen community engagement by working closely with community partners and clubs, coordinating volunteer activities, co-sponsoring community events, and supporting local charities. – Preserve and protect natural resources of California by conscientiously and proactively maintaining the District’s 269 acres of parkland. – Improve safety and security by providing positive recreational activities and safe environments for at-risk groups.